In An Extremely Rare Move, Maroon 5 Cancels Pre-Super Bowl Press Conference - T.V.S.T. Well, the Super Bowl halftime show continues to spread around the controversy like butter on a piece of toast. It’s being reported today that Maroon 5 will not participate in the traditional pre-game press conference. It’s a pretty rare move for this to happen, especially so close to the scheduled date of the press conference. In the press release by the NFL, they claimed Maroon 5 will participate in a “social and digital media rollout” in advance of the show, which basically means they’ll send out a few tweets. Maroon 5 has been working hard on a Pepsi Super Bowl LIII Halftime Show that will meet and exceed the standards of this event. As it is about music, the artists will let their show do the talking as they prepare to take the stage this Sunday. It’s obvious what’s going on here. They don’t want to face questions from reporters about all the controversy surrounding their performance. As most of you know by now, Maroon 5 was facing heat from two sides. One side didn’t want them to perform because they didn’t want ANYONE to perform at the halftime show, ’cause any performance would be a show of support for the NFL and against Colin Kaepernick. The other side didn’t want them to perform simply because they felt a Super Bowl halftime show happening in Atlanta should feature local ATL rappers. 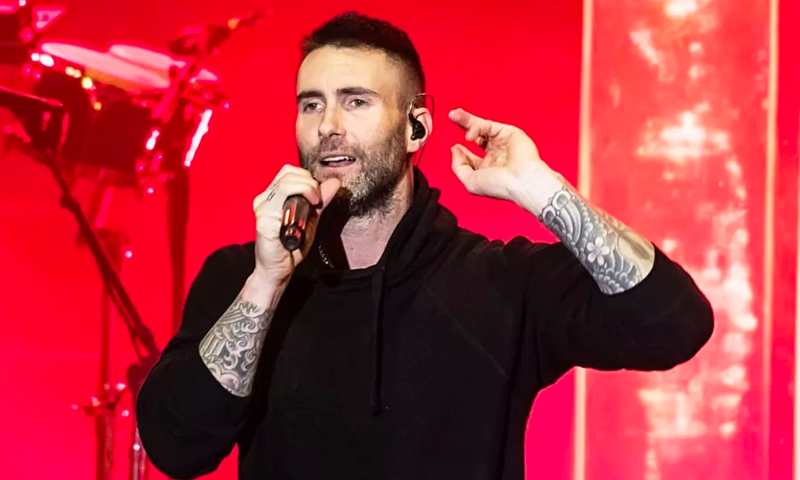 At one point, Maroon 5 lead singer Adam Levine actually questioned whether they should perform, but ultimately he decided they couldn’t turn it down and the $500,000 charity offer by the NFL didn’t hurt. Travis Scott, who is set to join Maroon 5 on the field, also got a $500,000 check for the charity of his choice. Police Confirmed Details of Jussie Smollett’s Homophobic, Racist Attack. FBI Investigating Letter Sent 8 Days Ago as a Warning!